Salvage Brown 6x40 Glazed and Matte finish Porcelain large planks. SOLD BY BOX OF 8 TILES = 13.36 SQ FT.
Salvage Brown 6 in. x 40 in. Porcelain Tile offers the rustic charm of reclaimed hardwood. 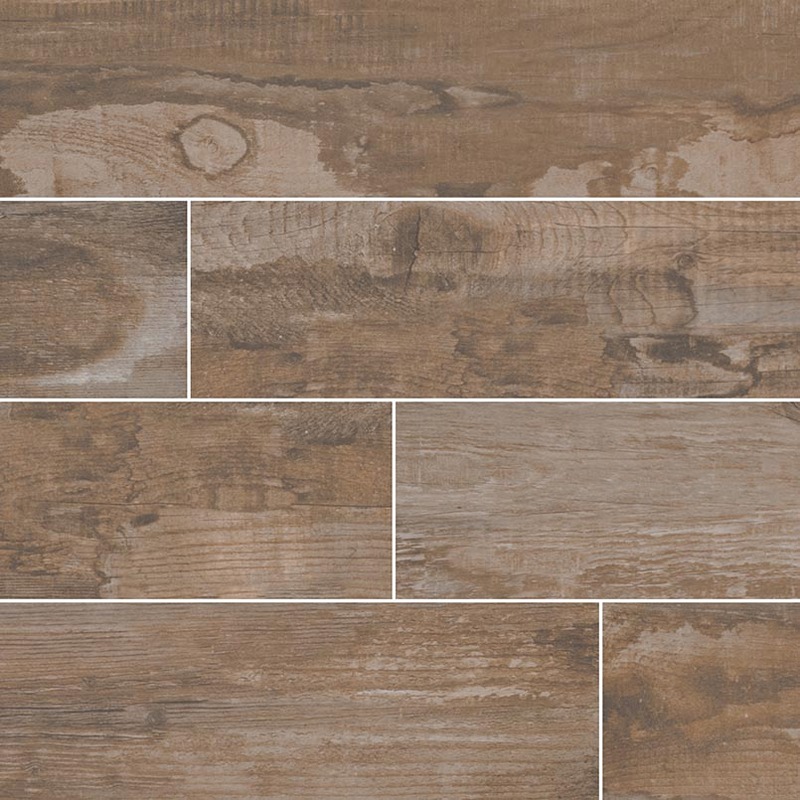 Featuring varying shades of browns to highlight the look of natural grains and knots, this matte finished porcelain plank adds character and interest to any space. It’s ideal for damp spaces where the look of hardwood is desired, but the durability and low maintenance of porcelain is preferred. Use it on floors and accent walls and other projects throughout your home. Strong and beautiful, this wood look plank is also suitable for a number of light commercial applications. If you’re shopping for a distinctive tile that looks like wood, you’ve found it. I was very nervous about ordering this online and broken pieces, etc. I had no broken pieces (bought 350 sft.) My floor is beautiful! We used a very dark grout, to make it look like a wood floor. I prefer this 40" tile as opposed to the 24" one because it looks more natural and there are less grout lines.